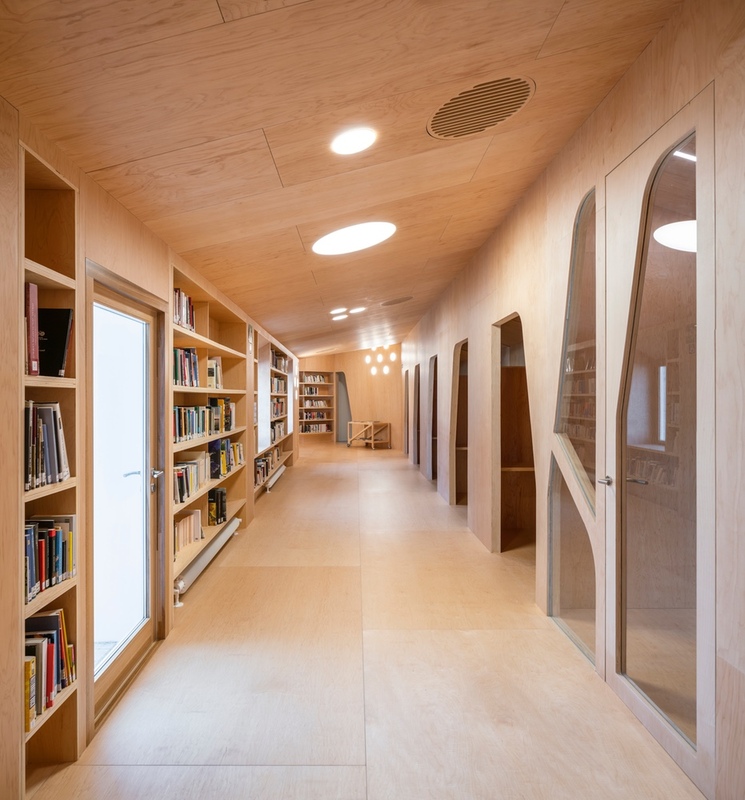 Using wood as an all-enveloping finish, Madrid firm Murado & Elvira Architects crafts a lovely public library inside of a building dating back to the 1600s. The facade of the Sancti Spiritus Hospital in Baiona, Spain, looks very much the same today as it did in the 17th century. 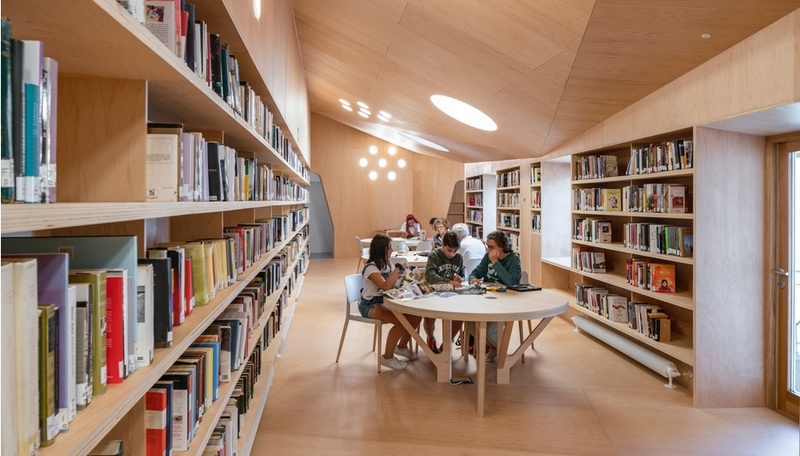 But inside, Madrid firm Murado & Elvira Architects has transformed its ancient interior into a modern public library, fitting it out with maple surfaces and furnishings to create an interior that feels warm, welcoming and remarkably unified. 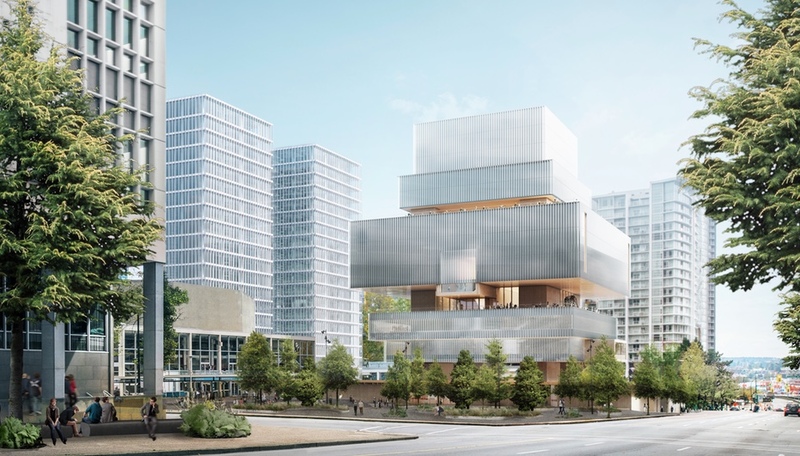 Because the building is listed, respect for its history was a key consideration during the renovation. The exterior remains virtually unchanged, except for a central garden and courtyard that were restored to usability. 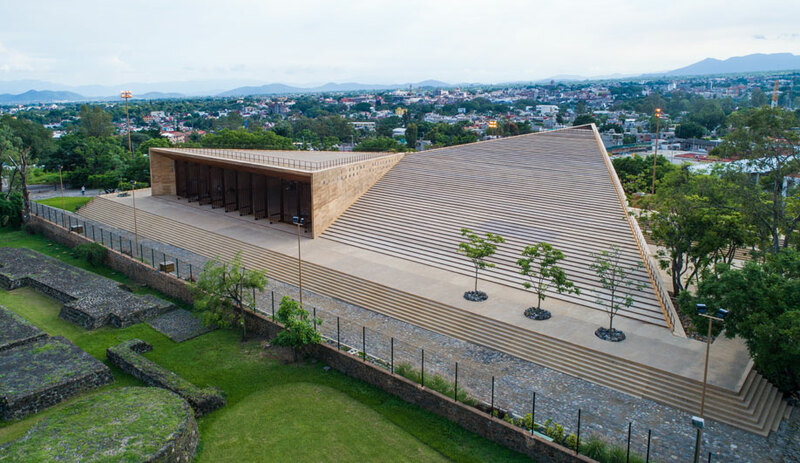 Inside, the interior is defined by a “mono-material” envelope of wood that follows the contours of the original structure, marking the distinction between new and old – and preserving the old without permanently altering it. From the street, visitors enter a large hallway that runs from east to west, serving as the building’s “main street.” A new stone wall runs the length of this hallway, the only major break from the maple material palette that envelops the rest of the interior. Punctuating the stone wall are alcoves with engraved stones from the original structure, and windows facing the central courtyard to the south. 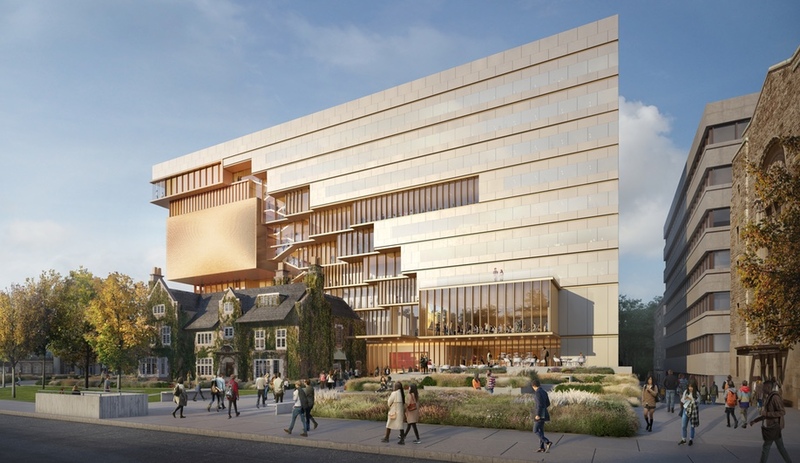 A children’s library, perhaps the interior’s most distinctive space, rounds out the ground floor program. Here, the architects used the asymmetric footprint of the existing space to their advantage, developing a whimsical cloud-shaped room with curving walls opposite the windows to the courtyard, and integrating shelves, a hidden cubby and a puppet theatre. Upstairs, the roughly rectangular floor plan is turned over to the main reading room, minus a square where three wide corridors wrap around the courtyard space. 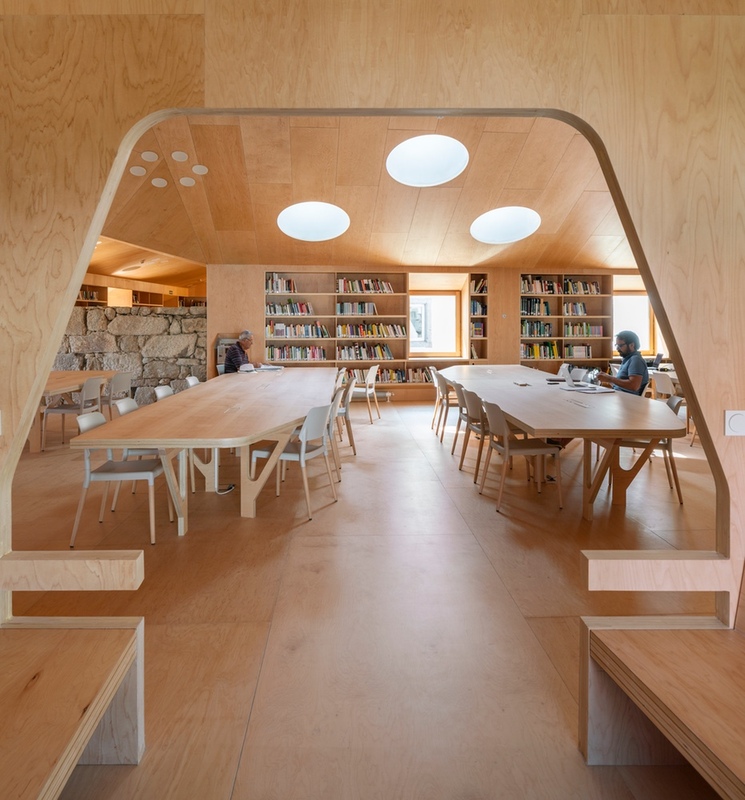 The reading room, distinguished by its high, faceted ceiling dotted with circular skylights, exemplifies the “mono-material” approach: walls, floor and ceiling are all lined with maple plywood. Even a series of maple-lined study alcoves along the room’s perimeter are integrated into the walls, with variations in the shape of the doorway serving as floating arm rests for the benches inside. 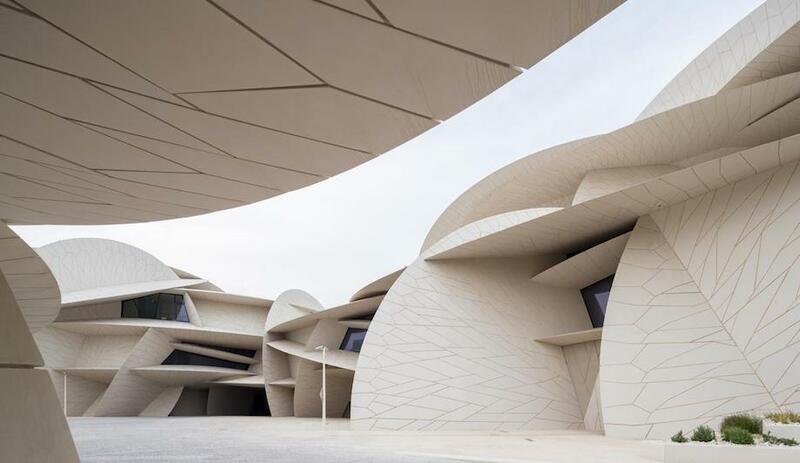 Structural details like these, as well as the doorways and custom doors, study tables and book cart share a common language of material, angles and curves that add to the sense that every detail is part of a single organism. See more libraries, including this recently completed one in a converted chapel in the Bronx.